Anyone who had problems with the single bed having a huge clickable area, can now download the fixed file, and replace the old one. Thanks to HugeLunatic for fixing the file. I haven't tested it out myself, but I trust HugeLunatic that it has been fixed now. Apologies for updating again. I've updated the set with fixes to the problems with the wallshadows and blinking blue textures. I'm still not convinced that I've fixed everything, so if you can keep an eye on any improvements I can make on the objects that would be fantastic. Thanks again to those that were willing to test out these objects and found the problems, and also thanks for your patience, I know I'm not the speediest when it comes to fixing things. I love wood, and woodworking was a passion of mine which I sadly abandoned some time ago. 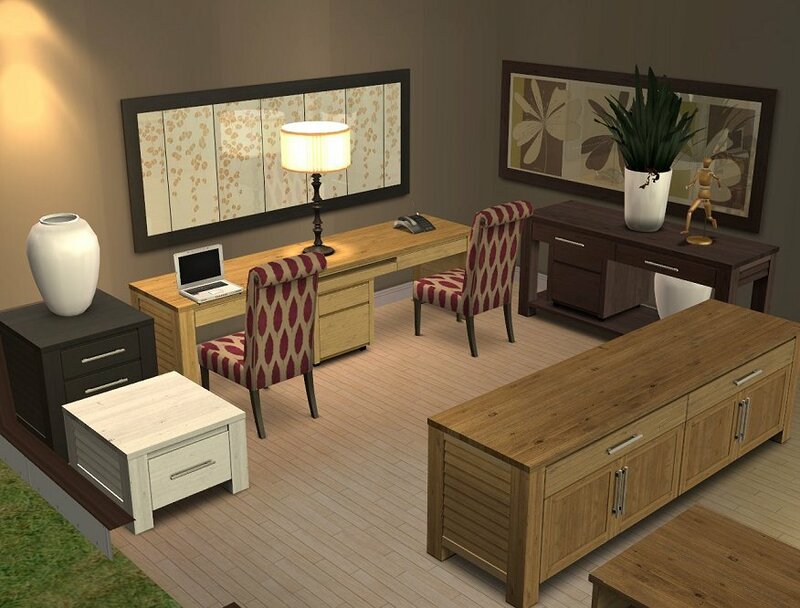 So with my virtual hands, I started crafting furnitures. The results weren't all too bad but nothing like marvelling a real timber product you've just finished. 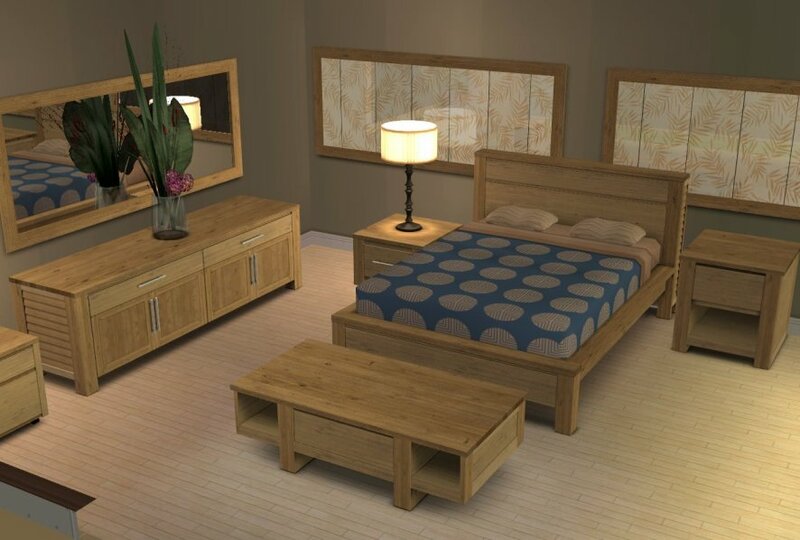 There are 19 furnitures that I'd like to share with you at the moment, and more to come I suspect. I was surprised at how quick and easy it was to create the meshes without making individual textures, thanks to the repository technique. 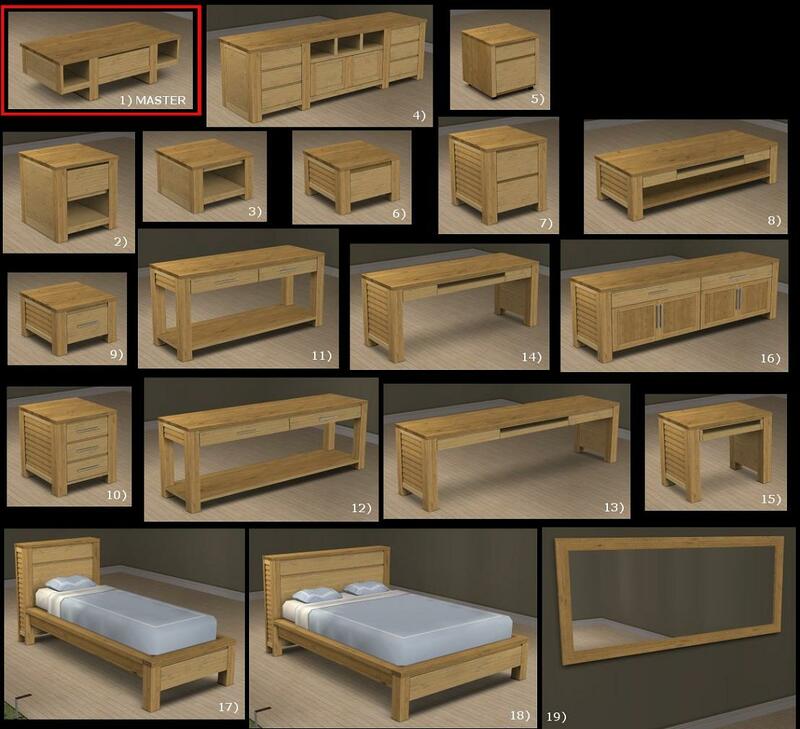 The important thing to note is that the MASTER file is the "tivoli 2-tiled coffee table", which I've labelled as 1) in the attached diagram of complete furnitures. So you'll need to have at least this object in your downloads folder for the other objects to lend the wood texture from this object. - This is the MASTER file. All the other slave objects (2 - 19) borrow the wood texture from this little bugger. - You will need to have this file in your downloads folder for the other objects to show their textures correctly. - Under Buy > Decorative > misc. - Has an additional slot to put tiny decorative items on the lower compartment, and one on the centre on top of the table. 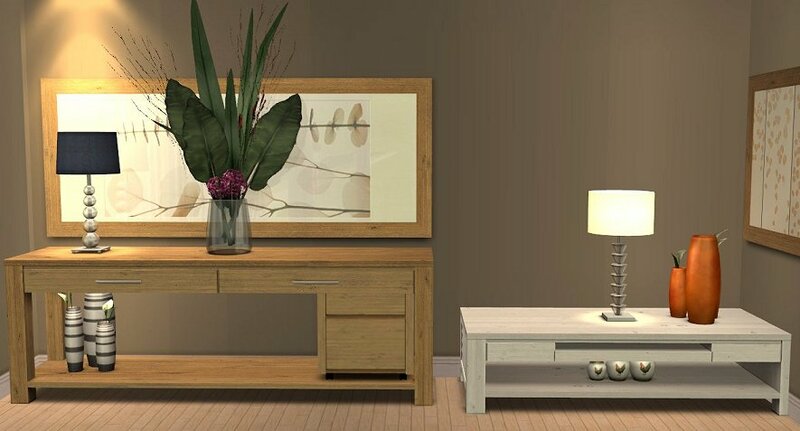 In order to place items in the furnitures with extra slots, (eg the console table) you will need to place either a small plant or small sculpture on the top surface by hitting the "M" key the object will jump to the different slots that you desire to position. Thanks to acelsey for letting me know on this. For basegame players, there seem to be a limitation on this, so you'll have to place a small decorative object at the top surface, then another at the bottom etc. Additional Credits: SimPE and the brilliant teaching resources in this site including jwood's repository technique tutorial and those who helped me laerned more about slots.